Are you searching for ideas to implement cheap wedding plans? Weddings can be really expensive. In all parts of the world, weddings are known for their permanent imprint in the lives not only of the couple but for the family and visitors who witness such event. 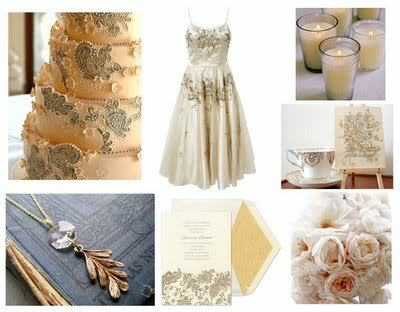 From wedding gowns to elegant invitations and expensive receptions, are there any Cheap Wedding Plans that exist? Having an inexpensive wedding does not mean that the wedding is not that special. Weddings can be inexpensive if you want it to be and always special and unique in every way. In every wedding plan, budget is very important. We might say that it is always better to stick within the budget than suffer from loans later. Put a ceiling on all expenses, adjusting one after another to make sure that we stick to our budget. Budgeting may not be fun, but by sitting down early and deciding how much money you have to spend now, you may save yourself time and money later. Let's start the cheap wedding plans with the gowns. 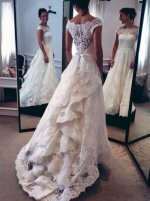 Wedding gowns are very costly depending on the materials used. Is it important to accent the gown with real gem stones? Your wedding gown is just a one-time dress. You cannot wear it in any occasion except in your own wedding. You can have the gowns rented. You can also buy a second-hand wedding gown or buy an evening gown or cocktail dress and had it altered to your own preference. 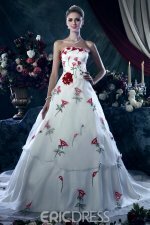 Even if you decide to buy online, there are certainly cheap and beautiful gowns available for you! It only takes a little extra work to find what you are looking for. The most expensive part of the wedding is actually the reception and usually takes more than 50% of the budget. One way to save money is by making sure you are only inviting those people who need to be there. You can send out invitation with the number of reserved seats and ask them to confirm attendance. You can have additional guest when some visitors cannot attend the wedding. The most important thing is that they were informed and you stick to the number of seats for the reception. 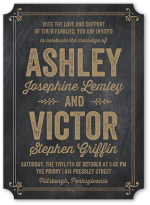 Cheap wedding plans may include printing your own invitations. 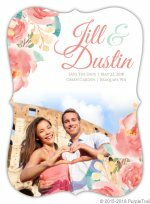 If you have your own computer and a colored printer, designing your own invitation makes the wedding unique and has personal touch. Combine it with thank you cards that you can give out after the celebration. If you are creative enough, you can experiment with paper embroideries, quills and origami to make it more unique. Various types of Paper is available at craft stores or online. Bouquets of flower can be bought in wholesale. You can buy ribbons and laces to add in the flowers to make it fuller. Wedding Cakes can appear grand if they are designed in different heights. Some cakes appear to be three or four layers but the only real cake is the base. You can order such cakes in the bakeries. Some couples have a small tiered cake for photos, but really use a simple sheet cake as what the guests are getting served. 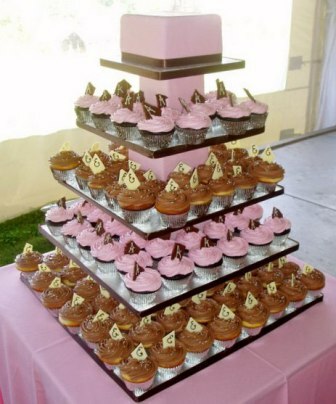 Another ideas for cheap wedding plans is to skip the cake altogether and give wedding cupcakes to your guests instead. They can still be quite beautiful and you can even have different flavors and icings to create more variety. Although cheap wedding plans require trimming down on expenses, I personally recommend investing in photography. After the wedding, only photos will remain and capturing that special moment in your life is best if you hire a good photographers. Of course you can supplement your wedding photography by purchasing disposable cameras for each table at your reception, this way you will have both professional shots as well as candid shots taken by your guests! In summary, cheap wedding plans can be achieved if you plan the wedding well. Spending less money does not mean your wedding can not be elegant, beautiful and everything you ever wanted, it just means you save money while still having your perfect wedding day!